Often called the best swimming hole in the state, Dunns Falls is at the very least the most spectacular wading spot. 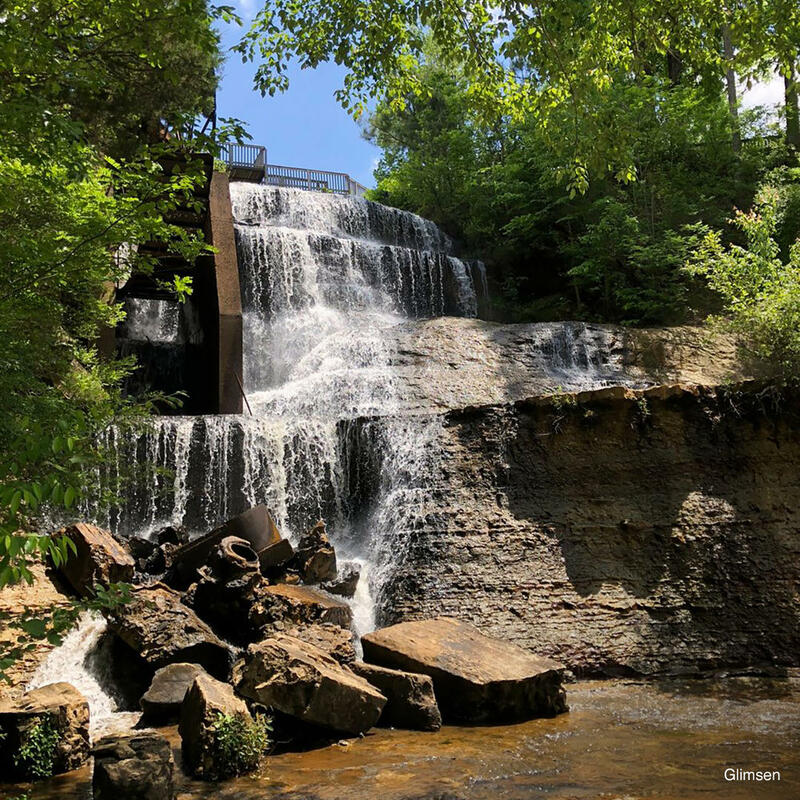 This 65-foot cascade is the tallest in the state tumbling down multiple narrow tiers. A mill and millhouse complete this scenic destination. Swimming, canoeing, and plenty of wildlife make this park a favorite among locals during the sweltering summer heat.